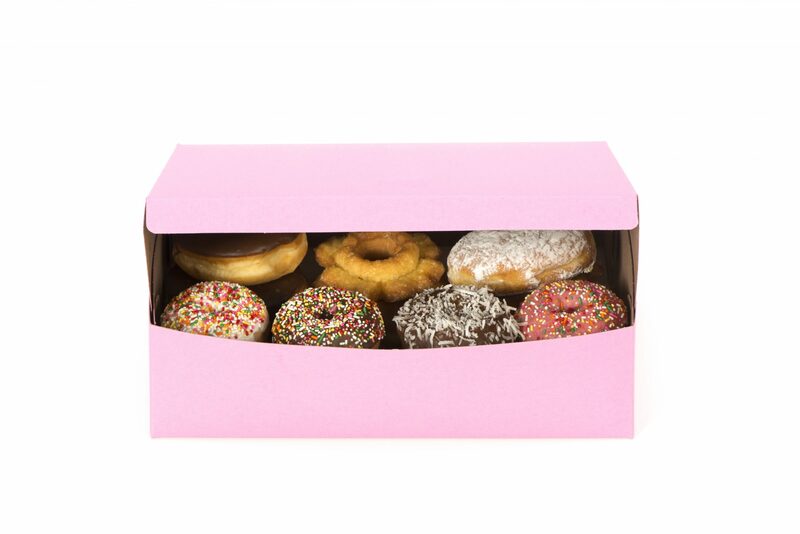 The pink doughnut box is a tradition that comes from Southern California, as it turns out. Ever wondered why doughnuts always seem to come in the same pink box? The answer might surprise you. The LA Times examined the phenomenon and found that a generation of enterprising immigrants in Los Angeles can be thanked for those iconic bubblegum pink cardboard boxes. Apparently, the “pink box is a distinctly regional tradition,” though you’ve probably seen a similar box appear all over movies and television that take place around the country. The LA Times likens the pink doughnut box to New York’s Grecian-style paper coffee cups, writing that the city’s doughnut shops are typically small operations run by Cambodian Americans. The pink doughnut box first appeared in the 1980s, at a time when a Cambodian refugee named Ted Ngoy was expanding his chain of Christy's Doughnuts shops, along with many of his fellow countrymen. The boxes came from a supplier called Westco. According the legend, the new doughnut shops popping up sought to buy boxes that were cheaper than the white ones chains used, and Westco had the answer: leftover pink cardboard stock. The “9-9-4," as it’s apparently called in the industry, fit a dozen doughnuts perfectly. Pink boxes stuck around because thousands could be produced at a much cheaper price than their white predecessors. There’s no final say on who requested the pink boxes for the first time, but it could have been one Ning Yen, another Camodian immigrant in the doughnut business around that time, who hoped to use red boxes for “good fortune.” His son, Peter Yen, says that he never got the red boxes because the Westco factory kept sending him the pink version. The box also has a certain emotional resonance for those of us with a sweet tooth. Even as shops continue to upgrade their personal brands to keep up with the Instagram age, that classic pink will always be moutheringly recognizable.